Obama’s pen is mightier than the sword. He wields it like a weapon, that’s for sure. In his last year, he is desperate to create his legacy. With each passing day, new regulations are being perpetrated on the American public at his behest. Unelected bureaucrats are much more loyal than members of Congress. They simply do what they are told. Imagine what it would be like if you had to drive a car based on a one-second glimpse of the road every three minutes? Crash and burn. How about if you had to figure out what was in an 8x10 inch photograph from just one tiny square of it a third of an inch on each side. No way…couldn’t do it. Or perhaps try watching your favorite NFL team on Sunday and you only get to see one play from the entire game? Exciting, huh? Not so much. All of those situations are obviously absurd, but they brilliantly highlight the ludicrous new rule from the Obama administration that is crippling the ability of auditors to monitor Medicare fraud. Who would want to thwart investigators in their quest to uncover fraud and abuse in government? Don’t answer that. Under the new rules, the auditors are only allowed to review .5 percent (e.g. 1 in 200) of each health care provider's Medicare payments. The rule, which went into effect Jan. 1, is the culmination of a long-running effort by hospitals and other health care providers to mortally wound the auditing system, and they’ve succeeded. But why? The auditors are private contractors who get paid a portion of any wrongful payments they find. That makes them very motivated to actually find fraud. A recent article about the new rule questioned whether providers might actually suffer under the new rule. The tiny review sizes won't provide a “statistically significant” sample size to determine whether the provider is following the rules. The rule says that if the handful of payments provided to auditors show the provider is a bad actor, they will be subject to broader reviews in the future, but with such a small sample size, the saying needle in a haystack comes to mind. 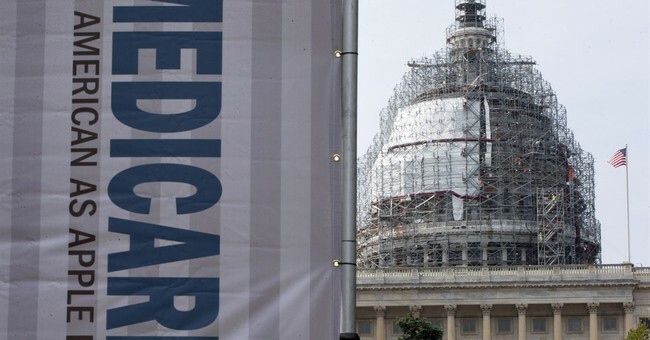 Kristin Walter, a spokeswoman for the Council for Medicare Integrity, recently argued it could backfire. A large hospital that bills Medicare about $350 million a year will be submitting 26 claims every 45-day billing cycle. Walter's point is that a random subset that small could easily misrepresent the general billing practices at the hospital. All this rule does is make it easier to steal from the government. Maybe that is the goal. Anyone tricky enough, who is both willing and capable of defrauding the government of millions of dollars in Medicare payments is going to be able to produce a sparkling clean sample of 26 billing claims from thousands. Allowing them to keep the payola rolling undeterred by those pesky auditors. Smaller providers that have about $35 billion in annual billings, which is actually quite a lot of money, will be submitting around three claims per cycle. That’s right, only three must be submitted on $35 billion or about 700 claims records. It’s laughable that the providers will provide honest random samples only to bring the auditors down on them. The lunacy of all this is punctuated by the vast scale of Medicare fraud occurring each year estimated to be $60 billion. What are they doing with all that dough? That’s a lot of money, I don’t care who you are. Here’s an idea of how much $60 billion is. How about you go buy the largest privately held island in the Bahamas, Innocence Island? White sand beaches, the ocean breeze, you’ll love it. It recently sold for $17 million at auction. Well, that leaves a bunch of money left over. While you’re in the Caribbean, you could take your other remaining billions and go bail out Puerto Rico while you’re at it. A few billion would go a long way down there. They might name a building after you or something. Basically, you could a whole string of private islands and still have plenty of money stolen from the American taxpayer to use. $60 billion is nearly five times the gross domestic product of Jamaica. Heck, buy a house there on Montego Bay. Great coffee and a cool waterfall. Irie! Okay, so islands aren’t your thing. You’re more practical. You could build 86 Hoover Dams (in today's dollars) with the amount of Medicare fraud we incur every single year. That amount would have funded the Eisenhower highway system construction for five years (yes, in today's dollars). You get the picture. It’s an over the top amount of fraud that is currently going on. So you can see my disdain that the Obama Administration is actually trying to make the problem worse. There's simply no excuse not to be moving expeditiously to combat this problem. And yet, the exact opposite is happening. During the Obama years, we have seen the Centers for Medicaid and Medicare Services (CMS) move time and time again to insulate the providers from auditing, even as fraud, according to the Government Accountability Office, has exploded. President Obama’s legacy at the CMS will be one of massive corruption. No historian will have to dig too deep to figure out that it was no accident.